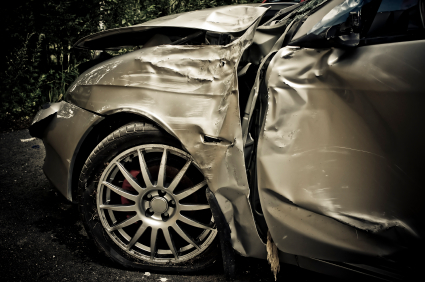 Our client, R.D., was waiting at a red light in Fredericksburg, Virginia, when his car was hit from behind. The person behind him was trying to put out a small fire in his car and was not paying attention to where he was driving, R.D. went to the hospital and was released with a sprain/strain of his back. He was treated with physical therapy and his symptoms resolved somewhat, but he continued to have pain in his back. After dealing with the continued pain for about four months, R.D. woke up one morning with increased pain in the same area of his back. R.D. sought medical care for the increased pain. When R.D. sought this treatment, his doctor thought he had sought treatment for a new injury rather than for the injuries suffered as a result of his auto accident. R.D. continued to have back trouble which increasingly caused pain and loss of use of his right leg. In an effort to control the pain, he was treated with epidural injections. He was also treated with physical therapy and with spinal surgery. A spinal cord stimulator was placed in his spine to control his pain. Because of the doctor's misunderstanding when R.D. sought treatment again, the doctor was not willing to testify that the injuries and treatment from that point on were related to the auto accident. The insurance company hired a doctor to testify that the treatment after the four month gap was not related to the auto accident. The case was tried in front of a jury in the City of Richmond. The jury returned a verdict for R.D. in excess of $250,000.